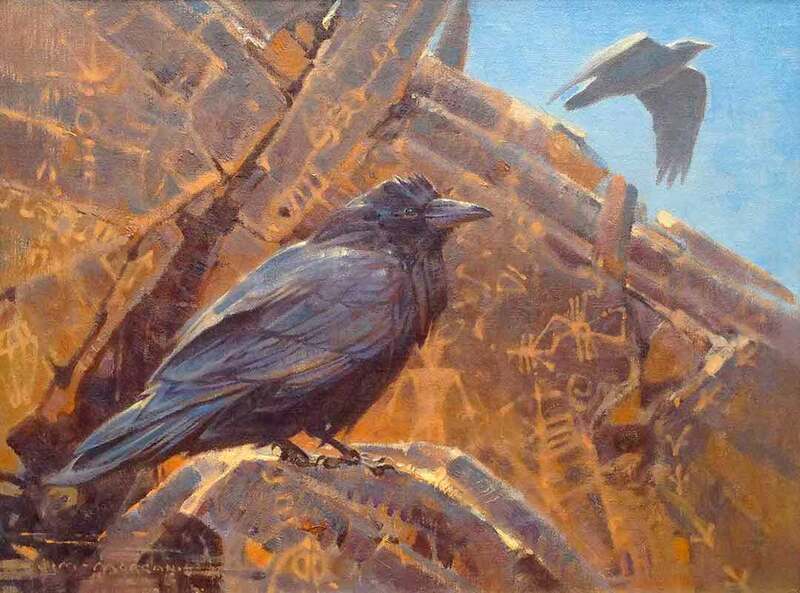 Wood River Fine Arts is pleased to present works by nationally renowned wildlife artist Jim Morgan. John Geraghty wrote of Jim in the May issue of Western Art Collector, calling him an “artist’s artist of national acclaim”. “Jim Morgan is one the finest wildlife painters working today”, states gallery owner Tom Bassett. “He is a master of design, weaving beautiful abstract shapes and brushstrokes within a traditional realist foundation. His designs stem from his complete knowledge of his subject. Jim is a passionate and accurate observer, he delights in all things in the natural world.” As friend and fellow artist Walter Matia says, “artists are just better at seeing than other people”, and Jim epitomizes that statement“. “One of our favorite experiences with Jim was having the chance to go bird watching with the artist on the Bear River near his home in Mendon, Utah. His knowledge of the birds and their habitat is remarkable, he is as much a naturalist as he is an artist. “ says Bassett. “It is a privilege to represent Jim and we are excited for the spring feature”. Wood River Fine Arts will feature the artist’s work from June 15 – July 4th, 2015. For more information visit www.woodriverfinearts.com. Read more by clicking link below.